This file contains a maquette version of the Digital Orca sculpture created by Coupland. Of particular interest is the variance in the base, as it was altered in the final creation because of engineering logistics and the difference in colour of the maquette. This item was damaged prior to receipt. It is broken into two pieces. 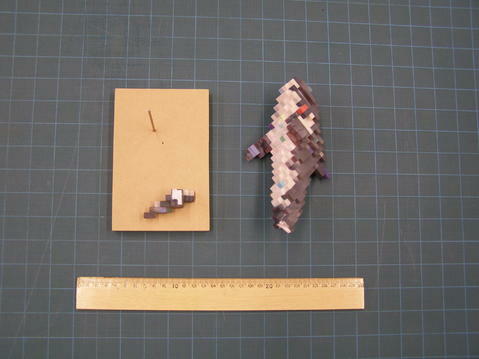 The item is broken near the base of the maquette.